"Ohio's Best For Four Years"
This time around it didn't come easy. After winning three straight boys gymnastics state titles, DeSales entered the season not quite sure it could salvage a fourth. On a Saturday at Thomas Worthington, the senior trio of Drew Durbin, Blaine Wilson and Mike Ramsey laid all speculation to rest, claiming the crown over Brecksville 138.65 to 138.45. Durbin took the all-around title with a 57.55, defeating Wilson (57.25), the two-time defending champion. Durbin finished runner-up the last two years after winning the all-around his freshman year. Ramsey, in his first year with the team, proved invaluable. his high score (7.9) came on the vault. "I was really nervous", he said. "I feel, for my ability, my routines were pretty solid. I didn't stick everything, but we got the job done." Coach Dennis McIntrye said Ramsey kept his routines conservative so he would feel confident enough to hit them. But it was Ramsey's parallel bar set that impressed McIntrye. "It was the last event, and the guys knew they'd have to do well to pull the title", he said. 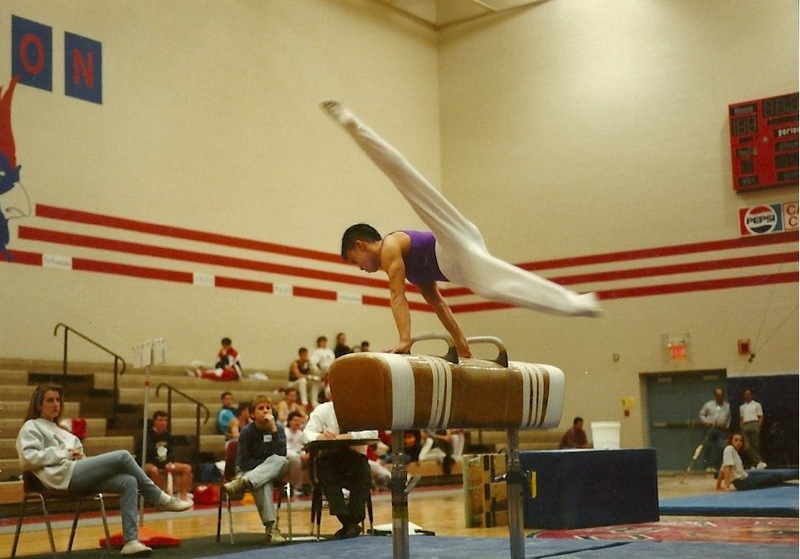 "Mike stepped right up there, never having competed on the parallel bars before (or high bar), and went out and did a nice job". Wilson followed with a 9.8, which meant that Durbin had to have a 9.5 or better to win the state title. "I really didn't know what I needed", Durbin said. "I had to think about my routine, so I just went up and went for the hit". His 9.7 brought home the crown, although he feels his set may have been overscored. In the individual finals, Durbin earned the top prize on the pommel horse (19.75) and high bar (19.80, meet high 9.9 during the individual and team segments), with Wilson finishing runner-up in each event. Wilson won rings (19.65) and parallel bars (19.55), with Durbin placing second.